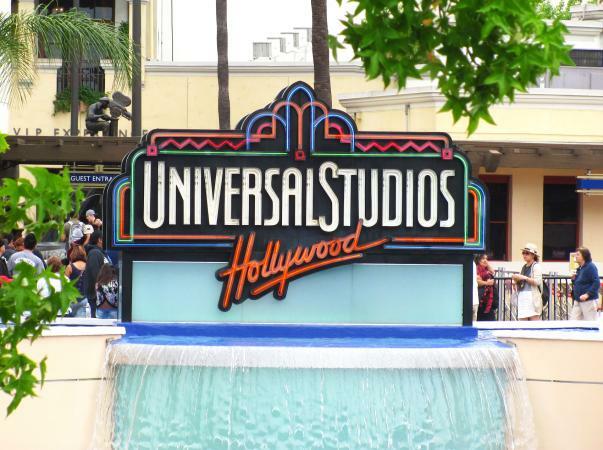 Universal Studios Hollywood is the ultimate Los Angeles tourist destination, combining thrilling theme park rides and shows with a real working movie studio. Find out what you need to know about park attractions, tours, dining, and tickets to help you plan your visit. When this Hollywood attraction first opened in 1964, it was little more than a modest tram tour offering the occasional glimpse of a movie star. 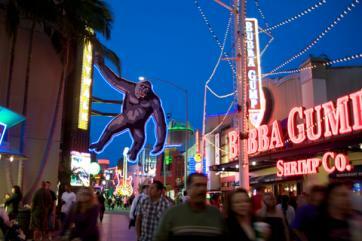 Today, Universal Studios Hollywood is more than a theme park; it's an entertainment experience. Park guests have the opportunity to get up close and personal with popular television shows and movies in ways no other theme park getaway can manage. It's no wonder that this mega-theme park is dubbed "The Entertainment Capital of L.A." and that a review on ThemeParkInsider.com suggests that it just might be the most unusual theme park in the United States. Included with all park admission tickets, the Studio Tour is one of Universal Hollywood's most popular attractions. Guests are able to visit sets from blockbuster movies, including the legendary Bates Motel from Psycho, the chilling plane crash from War of the Worlds, and the explosive stunts from The Fast and the Furious. One of the newest and biggest thrills on the tour is King Kong 360 3-D, billed as the world's largest 3-D experience. This award-winning attraction puts guests in the middle of a terrifying struggle between a 35-foot T-Rex and the world's most famous giant gorilla. Hit television shows are also featured on the tour, including a glimpse of the Wisteria Lane set from Desperate Housewives. Because of the evolving nature of the movie industry and current production schedules, the exact sets included on the tour will vary, making the park well worth repeat visits. Transformers: The Ride-3D: Fusing HD 3D media and flight simulation technology, this next-generation thrill ride puts guests in the middle of the ultimate war zone. Jurassic Park - The Ride: This raft ride floats guests through a jungle filled with dinosaurs, including a harrowing encounter with a Tyrannosaurus Rex. 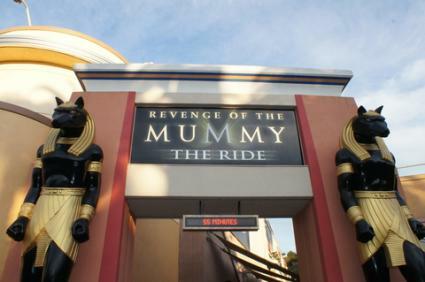 Revenge of the Mummy: Advertised as a psychological thrill coaster, this ride's initial launch and top speed of 40 miles per hour are only the beginning of its nerve-wracking thrills. The Walking Dead Attraction: Navigate a world overrun by hungry zombies as you follow in the footsteps of human survivors while battling your way through iconic landscapes from the popular TV show. 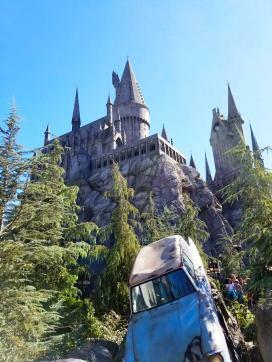 The newest area of Universal Studios Hollywood is The Wizarding World of Harry Potter, complete with attractions and well-known establishments. Harry Potter and the Forbidden Journey: Here you'll soar above the castle grounds on a thrilling adventure with Harry Potter and his friends. Flight of the HippoGriff: This family-friendly coaster takes you on spirals and dives around the pumpkin patch and Hagrid's hut. Triwizard Spirit Rally: Cheer on students as they compete in the Triwizard Tournament. Frog Choir: Enjoy songs from Hogwarts students, who are accompanied by their croaking frogs. Ollivanders: Here you can see a wand choose a wizard. There are also plenty of tamer rides the whole family can enjoy. 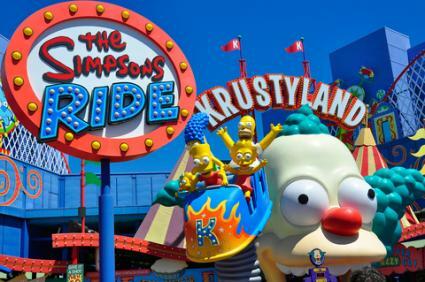 The Simpsons Ride: Join Homer, Marge, Bart, Lisa, and Maggie on a visit to Krustyland, complete with evil plots by Sideshow Bob, on this innovative simulator ride. Super Silly Fun Land: This play area is designed for children of all ages and is Minion-inspired. You'll find more than 80 different water-play features, and a nearby dry zone where kids can enjoy the Minion-themed Silly Swirly Fun Ride. Shrek 4-D: Join Shrek and Donkey in the middle of this fairy tale adventure filled with hair-raising, eye-popping effects. Despicable Me Minion Mayhem: This family friendly 3-D ride takes guests on a hilarious journey with Gru and his daughters. In addition to rides, guests at Universal Hollywood can see movie magic up close -- and sometimes even become part of the action. Special Effects Stage: See how the most amazing effects from today's blockbuster hits are created as you learn about CGI, stop motion, motion capture, and 3-D technology. WaterWorld: This adventure show features a tidal wave of explosive action with jumping jet skis, firefights, explosions, and a close-up plane crash. Character Photos: Guests can meet their favorite Hollywood celebrities, such as the Simpsons, Scooby-Doo, Shrek, and more, for personal photos and fun at regular appearances throughout the park. Universal's Animal Actors: Look for your favorite scenes from The Secret Life of Pets and see trained animals doing some stellar tricks. When it's time to relax and grab a bite to eat, guests can head over to Universal CityWalk, a three-block entertainment, dining and shopping promenade that is adjacent to the theme park. CityWalk features more than 30 eateries, six nightclubs, a 19-screen theater, and an amphitheater for concerts and live events. As of June 2017, one day general admission tickets cost between $105 and $116, depending on whether you buy in advance or at the gate, as well as your preferred dates. A one-day anytime admission is $120. For kids ages 3-9, tickets start at $99 and go up to $110. Special two-day passes are available online only; the cost is $129 for adults and $81 for those under 48 inches tall. For a more exclusive experience, guests can indulge in a Front of Line Pass that includes priority ride access, reserved show seats, and several behind-the-scenes opportunities for the star-studded price of $197 and up. A Yelp! reviewer indicates that the reduced waiting time and backstage passes make the additional cost well worth the price. One-day VIP tickets, which include exclusive backlot access, a personal tour guide, and other perks, start at $349 per person. If you're on a budget, look for the best discounts for Universal Studios tickets. One of the best deals, sometimes found through Costco or employee perk programs, is a "buy a day, get a year free" promotion offered toward the beginning of the year. Paying for a single day's admission lands you an annual pass without the extra perks. If you're local to Southern California, you may be interested in annual passes. The California Neighbor Pass that includes over 175 days of access is $129. The Gold Annual pass is $289, which includes parking, and the Platinum Annual Pass, which includes front of the line access, is $589. Everything about the park is always subject to change. For more information about Universal Hollywood park hours, special events, public transportation, and more, visit the Universal Studios Hollywood website or call 1-800-UNIVERSAL to speak with park specialists. Enjoy your visit!